“Roma,” director Alfonso Cuaron’s black and white reminiscence of his childhood, and the period film “The Favourite” led the way when the nominations for the 91st Annual Academy Awards were announced today. Each film earned a total of ten nominations, including Best Picture. Cuaron himself received five nominations (Picture, Foreign Film, Director, Original /Screenplay and Cinematography}. The film also received nods for Best Actress (Yalitza Aparicio), Supporting Actress (Marina de Tavira), Sound Mixing, Sound Editing and Production Design. Besides Best Picture, “The Favourite” scored nods for Best Director (Yorgos Lanthimos), Best Actress (Olivia Colman), Supporting Actress (both Emma Stone and Rachel Weisz), Original Screenplay, Film Editing, Costume Design, Production Design and Cinematography. Another multiple nominee was Bradley Cooper, who was recognized for Best Actor, Best Adapted Screenplay and Best Picture for “A Star Is Born,” which also earned two nods for Lady Gaga (Best Actress and Best Original Song) and netted Sam Elliott his first Oscar nomination as Best Supporting Actor. In total, the film earned eight nominations. The other nominees for Best Picture are a worthy and diverse group. “Black Panther” becomes the first comic book film to earn a Best Picture nod. Joining it, “A Star is Born,” “The Favourite”and “Roma” are “BlacKkKlansman,” Bohemian Rhapsody,” “Green Book” and “Vice.” A total of ten films can be nominated in this category, though only eight made it this year. In the Best Actor race,Cooper is joined by Christian Bale (“VICE”), Willem Dafoe (“At Eternity’s Gates), Rami Malek (“Bohemian Rhapsody”) and Viggo Mortensen (“Green Book”). Along with Misses Aparicio, Colman and Lady Gaga, the Best Actress race includes Glenn Close (“The Wife”) and Melissa McCarthy (“Can You Ever Forgive Me?”). Below is a complete list of this year’s nominees. The 91stAnnual Academy Awards will be presented on Sunday, February 24th. The Shape of Water, director Guillermo det Toro’s “fish out of water” love story, led all nominees when the nominations for the 90th Annual Academy Awards were announced this morning, receiving thirteen, including Best Picture and both Best Director and Best Original Screenplay for del Toro. Best Picture category. Other Best Picture nominees: Call Me by Your Name, Darkest Hour, Get Out and The Post. and Paul Thomas Anderson (Phantom Thread). Best Actor nominees are Timothée Chalamet (Call Me by Your Name), Daniel Day-Lewis (Phantom Thread), Daniel Kaluuya (Get Out), Gary Oldman (Darkest Hour) and Denzel Washington (Roman J. Israel, Esq). Missing from this list, in my opinion, is James Franco, whose work in The Disaster Artist, was nothing short of brilliant. Rockwell (Three Billboards). This is Rockwell’s first nomination. All of the other actors in this category have been nominated before, with Plummer winning the award for Beginners. If he wins, I’m curious if Plummer will thank Kevin Spacey, who he replaced in the film. Best Actress nods went to Sally Hawkins (The Shape of Water), Frances McDormand (Three Billboards), Margot Robbie (I, Tonya), Saoirse Ronan (Lady Bird) and Meryl Streep (The Post). Amazingly, this is Streep’s 20th Academy Award nomination, giving her eight more than 2nd place legends Katherine Hepburn and Jack Nicholson. Best Supporting Actress nominees are Mary J. Blige (Mudbound), Allison Janney (I, Tonya), Lesley Manville (Phantom Thread), Laurie Metcalf (Lady Bird) and Octavia Spencer (The Shape of Water). Again, in my opinion, this list is missing Holly Hunter, who was so good in The Big Sick. Speaking of multiple nominations, congratulations to composer John Williams, who earned his 51st nomination for his score for Star Wars: The Last Jedi. Just one year after taking home the awards for Best Picture and Best Director for his film, “Birdman,” Alejandro G. Inarittu finds himself back in the race as his new film, “The Revenant,” led all films nominated today for the 88th Annual Academy Awards with (12) nods, including Best Picture and Best Director. The film also scored nominations for Leonardo DiCaprio for Best Actor and Tom Hardy for Best Supporting Actor. George Miller’s “Mad Max; Fury Road” follows with (9) nominations, also including Best Picture and Best Director. Other Best Picture nominees, with their total nominations, include “The Martian” (7), “Spotlight” (6), “”The Big Short” and “Bridge of Spies” with (5) each, “Room” (4) and “Brooklyn” (3). “The Big Short,” “Room” and “Spotlight” also earned Best Director nominations. The Best Actress race includes two previous winners of the award and includes Cate Blanchett (“Carol”), Brie Larson (“Room”), Jennifer Lawrence (“Joy”), Charlotte Rampling (“45 Years”) and Saoirse Ronan (“Brooklyn”). Along with Hardy, nominees for Best Supporting Actor are Christian Bale (“The Big Short”), Mark Ruffalo (“Spotlight), Mark Rylance (“Bridge of Spies”) and Sylvester Stallone (“Creed”). With this nomination Stallone joins Cate Blanchett, Bing Crosby, Paul Newman, Peter O’Toole and Al Pacino as the only actors to be nominated twice for playing the same character. He was previously nominated as Best Actor in 1977 for playing boxer Rocky Balboa in “Rocky.” He also received a nomination that year for writing the script for the Oscar-winning Best Picture. Best Supporting Actress is a mixture of veteran actresses and newcomers and include Jennifer Jason Leigh (“The Hateful Eight”), Rooney Mara (“Carol”), Rachel McAdams (“Spotlight”), Alicia Vikander (“The Danish Girl”) and Kate Winslet (“Steve Jobs”). “Star Wars – Episode VII: The Force Awakens” earned (5) nominations, primarily in the technical categories. 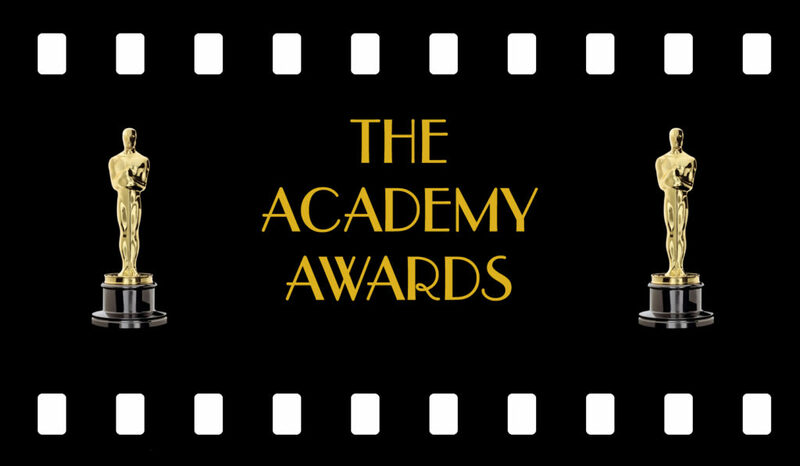 For a complete list of nominees go to www.oscars.com. 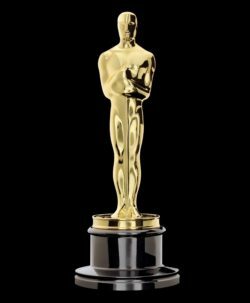 The 88th Academy Awards will be handed out on Sunday, February 28th. “Birdman,” the film that triumphantly put Michael Keaton back on the map and “The Grand Budapest Hotel,” Wes Anderson’s fanciful comedy, led all films this morning when the nominations for the 87th Annual Academy Awards were announced, with each film garnering (9) nominations, including Best Picture. Other films with multiple nominations include “The Imitation Game” (8), “American Sniper” and “Boyhood” (6) each, and “Interstellar,” “The Theory of Everything” and “Whiplash” with (5). All of these films, with the exception of “Interstellar,” earned Best Picture nods. The last film in the Best Picture race is “Selma,” which surprised many by only earning (2) nods. Due to the revised voting system, only (8) films qualified for Best Picture nominations – a maximum of (10) are allowed. In the race for Best Director, the nominees are Alejandro G. Inarritu (“Birdman”), Richard Linklater (“Boyhood”), Bennet Miller (“Foxcatcher”), Wes Anderson (“The Grand Budapest Hotel” and “Morten Tyldum (“The Imitation Game”). In the Supporting Actor category, the nominees are Robert Duvall (“The Judge”) Ethan Hawke (“Boyhood”), Edward Norton (“Birdman”), Mark Ruffalo (“Foxcatcher”) and J.K. Simmons (“Whiplash”). Supporting Actress nods went to Patricia Arquette (“Boyhood”), Laura Dern (“Wild”), Keira Knightley (“The Imitation Game”), Emma Stone (“Birdman”) and Meryl Streep (“Into the Woods”). This is Meryl Streep’s NINETEENTH acting nomination, an incredible achievement. The winners will be announced on February 22, 2015. Mark you ballots now! Alamo Drafthouse Rolling Roadshows Hit Kansas City! “Sofia the First” is currently my two year old’s favorite show. This book is also easily one of her favorite new books. “Sofia the First: Royal Prep Academy” is a life the flap book, which has been a lot of fun to play with. The book takes us into Sofia’s school and it really get and keeps her attention. She likes being able to look under each flap and letting me what is under each one. A must for Sofia fans! Disney has been doing this a lot recently where they shape the books like their based theme, for example with the recent “Jake and the Never Land Pirates: Winter Never Land”, which is shaped like a Christmas tree. This book is slightly shaped like, if you haven’t guess it, the Royal Prep Academy. The book is very interactive and seems to be getting a lot of repeat business in our house. “Gravity,” Alfonso Cuaron’s space masterpiece and “American Hustle,” David O’ Russell’s look back at the ABSCAM scandal of the 1970s, led all films nominated today for the upcoming 86th Annual Academy Awards. Both films received a total of 10 nominations, including Best Picture and Best Director. A total of 9 films were nominated for Best Picture this year, and those films nominated earned the lion’s share of other nominations. Right on the trail of “Gravity” and “American Hustle” comes “12 Years a Slave,” which earned 9 nominations. Three other Best Picture nominees earned 6 nominations each: “Captain Phillips,” “Dallas Buyer’s Club” and “Nebraska.” Two very difrerent films, Martin Scorsese’s tale of excess, “The Wolf of Wall Street” and Spike Jonze’s technical romance “Her” each had 5 nominations. Bringing up the rear is surprise nominee “Philomena,” which takes home 4 nods. Surprisingly missing from the list is the box office and critical favorite from earlier last year, “Lee Daniels The Butler,” which was shut out of every category it was eligible for. “American Hustle” becomes the 15th film in Oscar history to receive nominations in all four acting categories. Ironically, director Russell’s previous film, “Silver Lining Playbook,” also duplicated that feat. “Silver Lining Playbook” was the first film to achieve this record since Warren Beatty’s “Reds” did it in 1981. Two of the “American Hustle” actors – Best Supporting Actor nominee Bradley Cooper and Best Supporting Actress nominee Jennifer Lawrence – were nominated in the Best Actor and Best Actress categories last year, with Lawrence taking home the Oscar. They are joined this year by Best Actor and Best Actress nominees Christian Bale and Amy Adams. “Gravity”‘s only other major nomination was for Sandra Bullock as Best Actress. The majority of the film’s nomination are for technical achievements, including film editing and production design. Bullock is among four previous Oscar winners in the Best Actress category which includes Cate Blanchett (“Blue Jasmine”, Judi Dench (“Philomena) and three time winner Meryl Streep (“August: Osage County”). Only Amy Adams of “American Hustle” is currently Oscar-less. Best Actor is a contest between both Hollywood veterans and newcomers. Former Best Supporting Actor winner Christian Bale is nominated for “American Hustle,” while Bruce Dern earns his first Academy Award nomination since 1979’s “Coming Home” for “Nebraska.” Leonardo DiCaprio earns his fourth nomination for his work in “The Wolf of Wall Street.” These three are joined by Oscar newcomers Matthew McConaughey (“Dallas Buyers Club” and Chiwetel Ejiofor (“12 Years a Slave”). Best Supporting Actor nominees include newcomer Barkhad Abdi (“Captain Phillips”), Cooper, Michael Fassbender (“12 Years a Slave’), Jonah Hill (“The Wolf of Wall Street”) and Jared Leto (“Dallas Buyers Club”). Best Supporting Actress noms went to Sally Hawkins (“Blue Jasmine”), Lawrence, Lupita Nyong’o (“12 Years a Slave”), previous Best Actress winner Julia Roberts (“August: Osage County”) and June Squibb (“Nebraska’). Joining Cuaron and Russell in the Best Director category are Alexander Payne (“Nebraska”), Steve McQueen (“12 Years a Slave”) and previous winner Martin Scorsese (“The Wolf of Wall Street”). The 86th Annual Academy Awards will be presented live on March 2, 2014 on ABC Television. I first heard about author/illustrator Jeffrey Brown when he released his bestselling book “Darth Vader and Son”. At the time, my wife was a few months away from having our daughter and I wondered where the female version of that book was. Well a few months later, “Vader’s Little Princess” was released. Read our interview with Jeffrey, here. When I spoke with him, he gave us a sneak peak at “Star Wars: Jedi Academy” and I know I just had to have it. Sure the age range is 8 and up but key word being up. I finished this book in literally one sitting and loved every minute of it. If you are a “Star Wars” fan young or old, this is a must have in your collection!. The story is really cute and fun. It follows a young boy Roan and his journeys through middle school as he attempt to complete his dream of leaving home and becoming a Pilot Academy like his older brother, father, and grandfather. When he is denied entry into Pilot School, he fears that he will end up having to go to farming school instead. But instead he receives an invitation out of the blue to attend Jedi Academy from Master Yoda and decides to give it a try. He find that he possesses more strength and potential than he could have ever dreamed and that his destiny leads him to a new path. The illustrations in the book are extremely fun and each page is a new journey into this world. They are black and white and have a real fun comic book feel. There is tons of great humor all mixed within the common issues and stresses of attending middle school. Since we either you are going through it or have been through it, the story and its situations are very relatable no matter what age you are. It is told through various formats including Ronan’s comics, journal entries, letters, doodles, and newspaper clippings. So at first you will be reading his report card and then a letter from his brother. It moves the story along so well and makes it very entertaining and fresh. I do not think that I have ever sat down just to check out a book and ended up reading the entire book within a few hours. Coach Bill Courtney talks about football and Academy Award Winning Documentary "Undefeated"
You may not know the name Bill Courtney but if you’re lucky you know, or knew, someone like him. Courtney was the volunteer head coach for the Manassas (Tennessee) High School football team for seven years. Even though he has his own business and a large family of his own, Courtney takes time out every day to make sure that the boys at Manassas that want to play football can. “Football doesn’t build character,” the coach believes, “it reveals it.” During what would be his final season at Manassas, the coach and his team were followed around by a camera crew highlighting O.C. Brown, a player who, reminiscent of the story of Michael Oher which was told in “The Blind Side,” was being helped along by a local family to ensure he studied hard so that he could go to college. But the camera captured much more. The resulting film, “Undefeated,” went on to win last year’s Academy Award as the year’s Best Documentary. While preparing for the film’s release this week on DVD, Coach Courtney took time out to talk with Media Mikes about football, his players and why people in Tennessee are so giving. Mike Smith: I have to ask – The Touhy family took in Michael Oher. The Finley family took in Patrick Willis. (NOTE: Willis, from Bruceton, Tennessee, was taken in by his high school basketball coach and his family. What’s incredible about these stories is that earlier this year Oher and Willis squared off against each other in the Super Bowl). Yourself and your coaches at Manassas. Is there something in the water in Tennessee that gives people such great hearts? Bill Courtney: (laughs) I’ve done about 100,000 interviews and that’s the first time that question has been asked. I don’t know! In the South we still teach civility and humility…love for your common man. Maybe that translates to this. I haven’t really thought about it. There are people all over this country that do wonderful things for kids in all kinds of communities. The truth is I think we just happened to have our stories told. I think we’re just representatives of a whole community of people from all over the country that do lots of things to help the neediest. We were just the lucky ones to have our stories told. MS: What was the initial idea pitched to you from the filmmakers when they approached you about filming you and the team? BC: The local Memphis newspaper, “The Commercial Appeal,” and their sportswriter, Jason Smith, wrote a story about one of our players, O.C. Brown, living with Mike Ray, one of our offensive line coaches, and his family and me driving him back and forth from school in order for him to get tutoring so that he could get qualified to go to college. The producer of the film read the story on line while he was surfing through some recruiting websites. He’s a big University of Tennessee fan and Tennessee was recruiting O.C.. When he saw the story he thought it might make an interesting, small documentary. He called me and we met so he could hear more about that story. When they got here they found out the greater story of Manassas…of the coaches and all the kids…and decided that there was a bigger story to tell. He told me he was going back to L.A. to get funding to make a movie. Of course, when he left we all thought that was the last time we’d see him but four weeks later, after closing up their apartments and selling off their belongings the filmmakers moved to Memphis on a shoe-string budget and started making a movie that nobody thought anybody would ever see. And lo and behold…here we are! MS: How did the team react with the cameras constantly following them around? Was it an intrusion or did they get used to it? BC: It would be pretty disingenuous to say that at first the kids and the coaches weren’t aware. But also, you just had two guys with two small cameras. There were no boom mikes…no lighting…no sound. It was two guys with what looked like camcorders. That’s what the entire movie was shot on. So it really wasn’t this big production, which made it less intrusive. I don’t know if I’d believe this if I hadn’t gone through the experience but, honestly, after three or four days…after a week…you kind of get used to it. They worked so hard to know the players and the coaches and the teachers that, when they weren’t around, people were more cognoscente of it. “Hey coach, where’s the film guys?” “I don’t know.” The days they didn’t show were stranger then the days they did because they were there almost every day for a year. You honestly eventually just get used to it. MS: I see that O.C. transferred this year to Austin Peay. How is he doing, both as a student and as an athlete? (NOTE: At the end of “Undefeated” O.C. is admitted to Southern Mississippi University). BC: I just saw him at Christmas break and talked to him last week. I still talk to all the guys regularly. O. C. had some struggles with his grades and Southern Miss had a coaching change. The coaches that were there were really fond of O.C. and worked with him really hard to keep him where he needed to be academically. But I think after the coaching change O.C. was uncomfortable. He transferred to Austin Peay and started nine games this season. He hurt his knee and missed the last two games and now he’ll be starting next year. I’ll have three former players starting on the offensive side of the ball at Austin Peay next year. I suspect I’ll be making some travels up to Clarksville to watch those guys play. BC: Absolutely! You have to remember I was a coach at Manassas for seven years. I’ve known most of these boys since they were in sixth or seventh grade. I’m still very, very fond of them and am probably still their biggest supporters. Chavis is doing well. He goes to Lane College in Jackson, Tennessee. He’s playing football – outside linebacker – and is still In school. He’s doing very well. Money…when O.C. left Southern Miss he left Southern Miss as well and is enrolled in community college here in Memphis. Most importantly he just got back from North Carolina where he was trained as a Young Life educator and is now setting up Young Life chapters in the inner-city schools all over Memphis to do devotionals and mentorships with inner city kids. I actually spoke to Money yesterday and he’s got as many as fifteen kids in different chapters in the Memphis city schools and he goes in the mornings and talks with them and helps mentor them. Money has found a calling to give back in the way he was helped and he’s still in school. The guys are doing really well. I couldn’t be more proud of them. MS: When the film ends, you’ve left Manassas to coach your son’s team. Your first game was against Manassas. What did it feel like to be on the opposite sideline? BC: It was terrible. There was enormous trepidation leading up to that game personally, obviously. I mean those are like my sons over there, you know? I love them. And to have to go coach against them was really a very difficult thing for me. It was difficult for them as well. I was so glad when it was over with. It was tough. Very tough! MS: Can I ask who won? MS: Thank you so much for your time, coach. I have to tell you, when I watched the film, it made me think back to my high school days. I owe a lot to my coaches for keeping me on the straight and narrow. BC: I appreciate that. I honestly think that’s why so many people across all kinds of cultures and racial divides identify with this movie because they either remember a coach that did something for them that impacted their life in a positive way or are coaches doing that very thing. I think this film brings out the humanity in that. I appreciate you saying that…thanks for the kind words. If you were a kids in the late 80’s like myself, then you would have looked forward to coming home from school for shows like this. I have always been a fan of the “Police Academy” series, obviously shows like this don’t really warrant a animated series but it still is fun and reminds me of the time when afternoon cartoons were the bees knees. This series fits in between the fourth and fifth movie in the franchise but this does not include any of the original cast voicing their characters. I am not sure what it is about 80’s animated series but they just have this certain charm. I am glad to finally have these episodes on DVD and I look forward to the next volume to complete this animated series. There were 64 episodes in this series produced over two seasons. The first season consisted of 26 episodes, so the 30 episodes presented here cover the first season and a bit of the season. This is the first time that this episodes have ever been released on DVD, thanks to Warner Archive. The episodes have not really been restored for this release but they still look good. They have been manufactured from the best-quality video master currently available. They are presented in a 4×3 full frame with the original aspect ratio of 1.37:1. The audio track included is a basis mono track but it works, especially with the catchy theme song “They Wear the Blue” performed by The Fat Boys. Official Synopsis: The wacky rookies are back – and this time their antics are animated! After a bust goes awry in the opening episode, the heinous Capt. Harris gets busted back to the academy. With a serious hate-on for academy alums, Harris drags Mahoney, Jones, Hightower, Hooks, Tackleberry, Callahan, Sweetchuck and Zed back to the academy! In this 30-Episode, 3-Disc collection, the hit cartoon spin-off of the legendary law-and-disorder comedy franchise, Mahoney and Co. are joined by the stalwart members of the K-9 Corps, dog cops who are a few bones short of being top dogs, while battling super-villains like the Kingpin, Lockjaw, Amazona, Numbskull, Mr. Sleaze and the Claw. The noble-but-not-all-there Commandant is on hand as well, aided by new character The Professor and his crazy gadgets. Tip-top hip-hop act The Fat Boys sings the toe-tapping theme. Despite an early showing by top nominee “Hugo,” “The Artist” surged ahead and took home it’s anticipated Best Picture award at the 84th Annual Academy Awards tonight. Both films ended up with the lion’s share of awards, each of them taking home five trophies. “Hugo” took most of the technical categories it was nominated in, including Cinematography, Art Direction, Sound Editing, Sound Mixing and Visual Effects. “The Artist” scored for Costume Design, Original Score, Director for Michel Hazanavicius, Actor for Jean Dujardin and, of course, Best Picture. Meryl Streep won her third Oscar for her portrayal of British Prime Minister Maggie Thatcher in “The Iron Lady.” Supporting awards went to Christopher Plummer for “Beginners” and Octavia Spencer for “The Help.” Plummer’s win made him, at age 82, the oldest winner of an acting award in Oscar history. Best Animated Feature went to “Rango” while Iran’s “A Seperation” was named Best Foreign Language Film. Ludovic Bource’s score for “The Artist” faced some controversy earlier this month when it was revealed that director Hazanavicius had used a short snippet from Bernard Herrmann’s score for “Vertigo” in the finished film. Hazanavicius defended the sampling, pointing out that his film was a homage to the Hollywood of the past. The Artist, The Descendants, Extremely Loud and Incredibly Close, The Help, Hugo, Midnight in Paris, Moneyball, The Tree of Life, War Horse. After going from five nominees to ten a couple of years ago the Academy once again changed their rules. When ballots go out, each voter is allowed to name five films in order of one through five. The new rules state that if a film is named in the first position on at least 10% of the votes, it is a Best Picture nominee. Which means next year we could have eleven nominees….or three! One of the most original films of the 21st Century, this love letter to the days of early Hollywood should become the first silent film (o.k., there are two words spoken but why quibble) to be named Best Picture since “Wings” won the very first Best Picture Oscar. It’s really a two man race between Clooney and Dujardin, who won the Best Actor award at the Cannes Film Festival. But Clooney gets the nod here because his performance here as a man who learns his critically ill wife has cheated on him is unlike anything he’s done before. Plus Hollywood loves him. Here we have a two women race. This is Streeps’ SEVENTEENTH acting nomination and most people assume she has 5 or 6 Oscars on the shelf. However, she’s only won twice (Best Supporting Actress for “Kramer vs Kramer” and Best Actress for “Sophie’s Choice”) with her last award coming almost three decades ago. She is due for Oscar number three and with her performance as Margaret Thatcher she should win it. However Davis (a past MediaMikes interview subject), in a role that could have easily slipped into stereotype, put so much dignity and soul into her performance that you truly rooted for her. The nominees are: Kenneth Branagh (“My Week with Marilyn”), Jonah Hill (“Moneyball”), Nick Nolte (“Warrior”), Christopher Plummer (“Beginners”), Max von Sydow (“Extremely Loud and Incredibly Close”). Probably the closest race of the bunch, this category features three actors who are often regarded as the greatest in their countries history: Sweden’s von Sydow, Canada’s Plummer and England’s Branagh. There is a great irony in Branagh’s performance. He is often regarded as the successor to the great Laurence Olivier due to his Shakespearean background and his nomination comes from his portrayal of Olivier. In my opinion this award should go to Nolte, who gives one of his best performances ever in “Warrior.” But I think the Oscar will go to Plummer for his rare comedic performance as a man who comes out of the closet to his son after his wife dies in “Beginners.” Both Plummer and von Sydow are 82 and should either win they would become the oldest person to win an acting Academy Award. Currently the title is held by George Burns (Best Supporting Actor for “The Sunshine Boys”) and Jessica Tandy (Best Actress for “Driving Miss Daisy”), who were 80 when they won (though to be fair, Tandy was 200 days older then Burns). The nominees are: Berenice Bejo (“The Artist”), Jessica Chastain (“The Help”), Melissa McCarthy (“Bridesmaids”), Janet McTeer (“Albert Nobbs”), Octavia Spencer (“The Help”). This appears to be the runaway category, with Spencer nabbing pretty much every award she’s been nominated for. Like Viola Davis she took a role that could have easily spun into stereotype and put a humorous yet dignified spin on it. I will say that I am so glad to see Melissa McCarthy nominated. Comedy is so rarely recognized at awards time and she is truly deserving of her nomination. Even though he made arguably one of the greatest films of the 1980s (“Raging Bull”) and the 1990s (“Goodfellas”), Martin Scorsese did not win a directing Oscar until “The Departed” five years ago. Had he still been Oscar-less “Hugo” would have surely brought him the prize. That being said, the award should go to Hazanavicius for his brilliant recreation of young Hollywood. The nominees are: A Cat in Paris, Chico and Rita, Kung Fu Panda 2, Puss in Boots, Rango. ORIGINAL SCORE: “War Horse” – John Williams (including this year, Williams has been nominated for an Oscar 47 times! He’s actually competing against himself this year with “War Horse” and “The Adventures of TinTin”). Check back on Monday for my thoughts on the winners and losers! “Hugo,” director Martin Scorsese’s loving look at the early history of film, leads all nominees in the race for Oscar gold. The film received 11 total nominations, including Best Picture and Best Director. Close behind is “The Artist,” a silent, black and white film that includes Best Picture among its 10 nods. “War Horse” and “Moneyball” followed with 6 nominations each, including Best Picture. Look for a special “Behind the Screen” later this week when I give my thoughts on this years nomines. “Sailcloth” starring Oscar® nominee John Hurt, selected for 2012 Academy Short Film Award considerationSAILCLOTH – starring world-renowned actor John Hurt – is a heartfelt story of an elderly gentleman who disappears from a nursing home. The 18-minute non-dialogue film, written and directed by Elfar Adalsteins, is already an award winning film having picked up the Grand Jury Prize for Best Short Film at the Rhode Island International Film Festival to a standing ovation. Subsequently, the film has gone on to get a recommendation for the 2012 Academy Short Film Awards. Sailcloth shares the poignant story of an elderly widower, played by Hurt, as he sets in motion a series of events to hide his disappearance from a nursing home. After gathering necessities he heads to the local pier where a beloved companion awaits him – ready to take their last great journey. John Hurt, one of the UK’s most legendary actors, stars in this emotional film portraying the widower with a natural ease that effortlessly pulls you into. Hurt, a two time Academy® Award Nominee, has won countless accolades during his extensive career, including three BAFTA’s and a Golden Globe. This Oscar worthy film is written and directed by Elfar Adalsteins (www.elfaradalsteins.com) and produced by his company Berserk Films. Elfar’s began his career as a producer, working on feature films such as ‘Country Wedding’, the Oscar® longlisted ‘Mamma Gógó’ and ‘Black Rabbit Summer’ he developed in collaboration with Ruby Films. Elfar’s directorial feature film debut is currently in the final stages of development and is scheduled to move into production in 2012. With John’s wonderful portrayal of the widower and Elfar’s expertly realized vision, it is no wonder that this emotional story of love and courage is causing such an Oscar Buzz. ‘The Sea Is All I Know’ stars Oscar Winner Melissa Leo (The Fighter) and Peter Gerety (The Wire) and encompasses the controversial subject of assisted suicide. Through this extraordinary journey the film shares a story of love in the face of death. This wonderful picture has already won awards from Palm Springs International Film Festival ‘Best of Festival’ and the Rhode Island International Film Festival where Melissa won the ‘Grand Prize for Best Actress’. Not surprisingly ‘The Sea Is All I Know’ is already receiving rave reviews; Darryl MacDonald, Executive Director of Palms Springs International ShortFest calls it “An Oscar Best Bet” and an “incredibly moving tale of family and faith” while praising the performances “Melissa Leo gives a heart-wrenching, typically brilliant performance.” Jessica Gardner from BackStage praises the director Jordan Bayne saying she “allows the viewer to get pulled into the characters’ inner conflict” as well as the stand out performance from Melissa “Leo’s raw, jaw-dropping performance can take an audience’s breath away” and Peter “Gerety is so perfectly cast, he turns in an outstanding and multilayered performance”. ‘The Sea Is All I Know’ is an honest portrait of a family coming to terms with their relationship to death. When estranged couple, Sara [Melissa Leo] and Sonny [Peter Gerety], come to the aid of their dying daughter, the experience sends them spiraling into spiritual crisis and brutal heartbreak. In the end, an act of selfless love, renews their lives, transcends their loss of faith, even death itself. Jordan Bayne wrote, directed and produced this heartfelt film. Through excellent casting and classic story telling she has created an Oscar worthy unconventional love story ‘The Sea Is All I Know’.